Foodie bloggers are receiving emails from Google Search Console that there are issues with their recipe schema markup. Discover why this is happening, how to test your recipes, and what you need to do to resolve it. 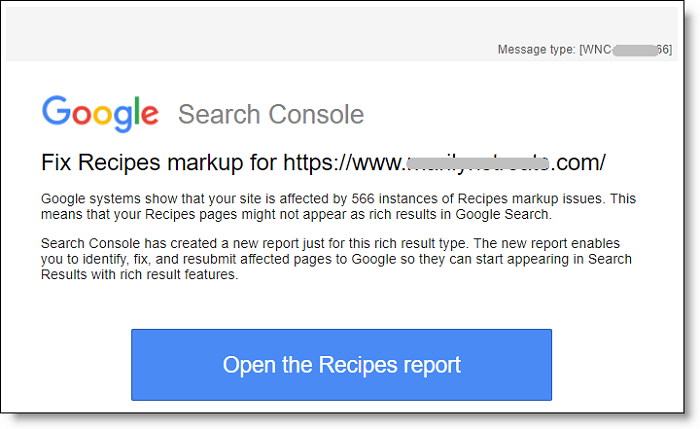 Search Console is sending emails that report how many instances of errors and warnings they have detected on recipe plugins. Clicking the button opens a Recipes report. Before we get into what’s going on, I want to thank my site audit clients for reporting this issue in our exclusive Facebook group and bringing my attention to it. I also want to say a huge thank you to Marilyn Lesniak of Marilyn’s Treats for her help and support with sorting out this issue, plus her deep knowledge of so many recipe plugins, as well as extra screenshots from Search Console that appear in this post. Once you click the button to open the report, you will be taken to your Google Search Console account. If you are using the original interface, you can’t see the issues. You can only see the full report with issues on the new Search Console interface. And that’s actually the whole problem!! The issue is not with your plugin. 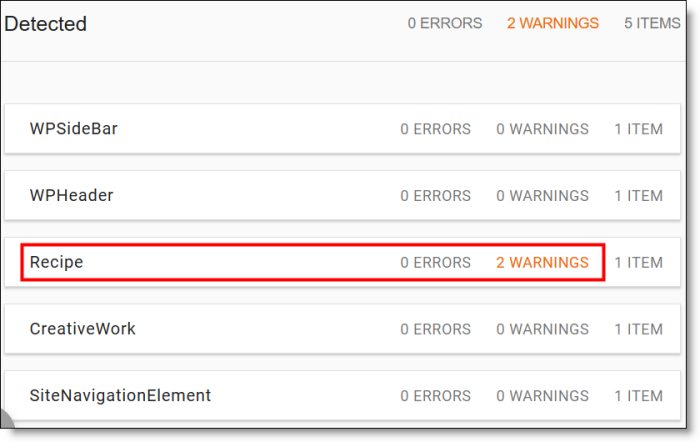 The warnings are being caused by a lack of proper filtering on the new Search Console for empty/unused schema markup tags. I’ll show you screenshots of both here so you can see the difference, and why this hoohaa is happening. In the right pane, below the graph, you will see a list of all the data types that have structured data on your site. In the list, find Recipe. Click Recipe in the list. You will see a full list of all your recipes that Google has crawled, and you can confirm that there is nothing in the Items with Errors column. 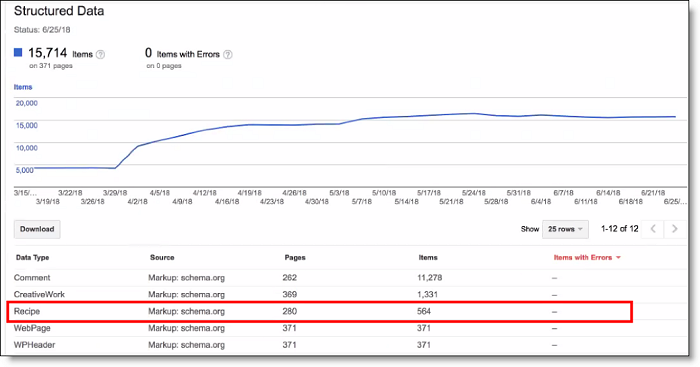 The reason why you are not seeing any errors is because the original Search Console has a filter that only picks up the schema markup your recipe plugin outputs. It does not flag for recipe markup that is available but has no data in its field. Keep reading and this will make more sense when you see the new Search Console interface below. 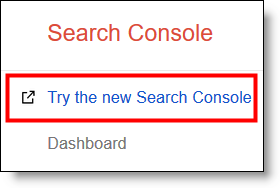 In your Search Console left sidebar, at the top is a link to Try the new Search Console. You will see a graph of how many warnings Search Console has found. FYI: If the number you see looks way higher than the number of recipe posts you think you have, there’s a good reason for it. Some plugins output two types of schema markup, namely microdata and JSON-LD. The latter is supported by Google. So, Search Console may be popping you with double warnings, one each for the missing field on both markup outputs. Scroll down to see all of the missing fields. These missing fields are the warnings you’re being emailed about. What’s Causing the Missing Fields? Since the new Google Search Console came out of beta in early 2018, many site owners have been getting emails with warnings for bogus stuff they can’t find listed in the original Search Console interface. And that means that they have no shot at fixing them either. The issues only appear in the new Search Console interface. FYI: The first indication we had of this old/new interface problem came from warning emails which stemmed from having old XML sitemaps in the non canonical version of your verified properties. The issues cited were for super old links of content that had been removed from the site, but the old sitemap had not been updated. The fix is to remove all XML sitemaps from everything but the canonical property. My guess is that Google’s crawl bots see everything, but the new interface doesn’t have the same filters and is responsible for reporting all manner of erroneous and bogus warnings. Now the bots are tripping out over stuff that’s not there. Most of the popular recipe plugins output schema markup. Those are special properties/tags that Google eats like candy, and helps identify the different sections of a recipe for Google better. There are bunches of available schema markup tags for recipes. Googlebots are looking for all possible tags, and is flagging your recipes for two reasons. In other words, you may have those fields available in your recipe plugin’s interface, but you are not filling them out. And yet, the recipe plugin is still outputting the tag, it’s just empty. UPDATE: I’ve already started seeing reports from recipe plugin developers that they will be fixing the empty fields. So, this may resolve itself with your next recipe plugin update. Google Search Console doesn’t make it plain how to see what’s missing on each recipe post. But thankfully, the Google Structured Data Testing Tool makes it all plain as day! 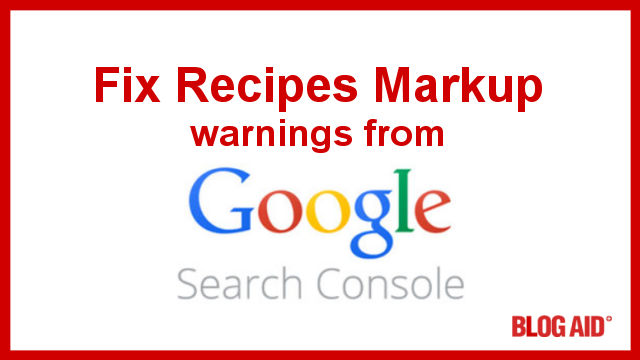 Grab the URL to one of your recipes that has warnings and then click the link above to go to the Tool. Paste the URL to your recipe post and then click the green Run Test button. Check Recipes in the right pane. 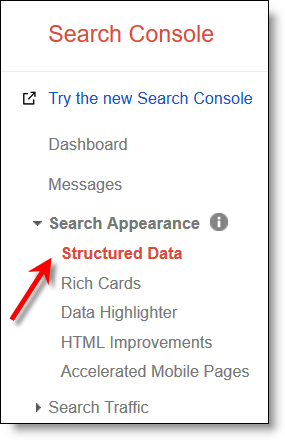 You will see a list of all the structured data that your plugin outputs, and what you have in each field. Scroll through until you see your warnings. I think this is a Search Console issue and they should add a filter so that you don’t get dinged for fields that are empty. So, you could ignore the warnings and go on about your business, and Google might eventually create a filter in the new interface and you won’t see these issues anymore. On the other hand, if these are fields that your plugin offers, you might want to seriously consider making use of them so you can take full advantage of all the schema markup that is available. Making use of all available recipe schema markup might help get your recipe featured in Google snippets (in regular SERPs) and Google Assistant (in Voice Search). Google is practically begging foodie bloggers to get in on the ground floor of Voice Search. Making the most of this opportunity could mean thousands more visits to your site! If the highlighted fields are ones that your plugin doesn’t offer, you may want to get a better plugin so you don’t miss out on anything. Google has updated the list of available recipe schema markup properties (tags) that can be used. Your recipe plugin may or may not support all of them. These tags will be wrapped around the different fields of info you input via the plugin’s interface. So, it’s not like you can add them manually if they are missing from your plugin. 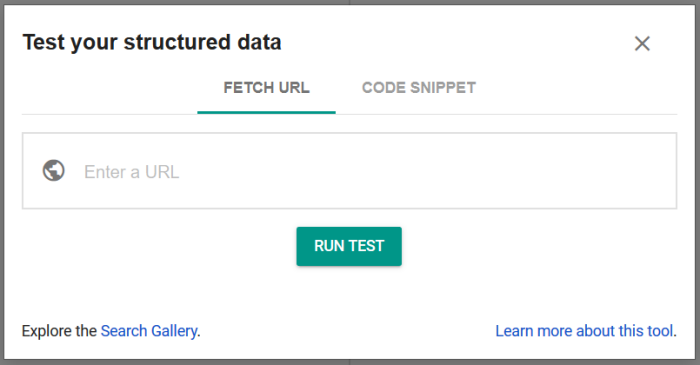 Check Google’s list against the output of the Structured Data Testing Tool of your post to see if your plugin supports all the fields. Then edit your recipe post to see if you just didn’t fill them out, or if there is no input for them. Besides the properties listed in the link above, there are a few more critically important tags that your plugin may support, but the may seem confusingly similar to other markup tags (also called properties) provided by your theme or your SEO plugin. But the recipe tags are different, and you need them plus the tags your theme and SEO plugin give you. Category – the recipe itself can have a category, like side dish. Now, you may also have a blog post category that is similar. These are two different tags, and in two different hierarchies. So, a recipe section of schema markup tags will start with a @type property tag. And the value for that property is “recipe”. Every other tag under that section will apply only to the recipe. That’s how Google knows that the “category” tag, in this section, applies to the recipe, not the post. In other words, the full schema markup for your foodie post should have 2 category tags, one for the post and one for the recipe. FYI: When using the Testing Tool, be sure to look under CreativeWork, or the other sections listed, not just the Recipe section, so you can see all the other schema markup on your post. You can also see your full source code in the left pane. You can use it to search for both category tags too. Author – the recipe’s author can be different from the post’s author. WordPress will automatically assign the post author to the logged in User who created it. You need to set the Author field in your recipe plugin too, if it has that available. Some plugins may pull the info from the logged in User, though. So, no guarantee there will be a separate field for you to fill out on the plugin interface, yet it may output the correct tag. datePublished – again, this is specifically for the recipe, not the publish date of the post. So again, you should have 2 instances of this property in your full schema markup for your post. keywords – we don’t use metakeywords in posts anymore, but they are still relevant in the recipe schema markup. Cuisine – this is the region associated with the recipe. Even if all of your dishes are American, and so is your audience, you still need to fill in this field. Remember, Google has no idea about your dishes and audience. You have to tell it everything. recipeIngredient and recipeInstructions – these are standard properties for most recipe plugins, but be sure that yours outputs them!! They are now required for your recipe to qualify for indexing in Google Assistant (Voice Search). So, check carefully through the output of your schema markup in the Testing Tool, and ensure these two are there. If not, consider getting a better plugin that outputs them. My DIY SEO course shows you even more ways to get your posts featured by Google. Thank you MaAnna for the explanations, screenshots and the shoutout to my blog!! This is a very important subject to at least understand for Foodie Bloggers who are striving to rank for recipes. Getting into snippets and voice search matters. The bulk of the learning curve and verification is a one time lesson once understood and your recipes are checked. After that, updating recipes is up to you and can be done as they are republished if you want to rank for that particular one. Once you get into the habit of identifying these different fields and filling them with data it will be a breeze. And again, having a good recipe plugin that includes these fields is key. The more tags you hit, the better chance for advanced ranking. Consider this as specific Recipe SEO and you are on your way! Thanks so much for all of your help, Marilyn!! I could not have done this post without your expertise and help!! I just went into the search console and saw all the errors. It will take some time to update all my recipes. My question is about video. Some of the errors are for missing video. I don’t make videos and don’t know that I ever will. What do you think about this? I’ve already seen reports of recipe plugin devs fixing these issues. No details, but my guess is that they will remove the schema markup from any empty fields, so there will be no flag. As for video, I’m sure it’s a big pain to make one while preparing the dish. But, it’s a super hot way to get more eyeballs from YouTube, Pinterest, and everywhere else you share/embed it. Another thing to consider about video is making one from your still shots. There are several free online video makers for that for you to try. I’m not sure one of those would necessarily be appropriate for inside the recipe, but they would sure be cool for promo. I think folks would expect the one inside the recipe to be a how to, not a still shot promo. Mine say I’m missing a photo which I have photos on all of my recipes. Any ideas? Two questions. (1) what recipe plugin do you use and is this error on all your recipes? (2) are you adding the image directly into the recipe card? And not before or after it only in your post? Some recipe plugins have an option to add a photo to the recipe itself, which is different from uploading an image to the blog post. We’ll have recipe plugin reviews in the coming months, so you can compare available options and schema markup. I use WP Recipe Maker but I actually think it’s related to my theme unfortunately.